Timeform recap of the 2018 Cox Plate won by Winx for jockey Hugh Bowman and trainer Chris Waller. The US National Museum of Racing will induct 16 new members into its Hall of Fame on August 2. Champion mare Winx landed an unprecedented fourth Cox Plate on Saturday, topping the deeds of the great Kingston Town who won Moonee Valley's showpiece event three times, and (as if it needed any more doing) confirming herself as one of the greatest horses to have raced in Australia. "But just how great?" cried the mob. Better coverage/access has opened up Australian racing to the world and racing fans from other nations are having a look - and their say. Of course the best way for racing fans to actually have their say is to bet, but betting comes with consequences and so, in lieu of that, Matt Chapman was brought down to stir up a bit of interest, and he did just that. Winx's trainer Chris Waller called him a 'dickhead' and we all cheered and got behind the great mare. Good theatre. Job well done Mr Chapman. But in all the ensuing debate none of the she's-beating-nothing brigade seemed interested in quantifying that statement. The preferred method for comparing horses seems to be context-free beaten margins taken literally all over the world. This method is similar to that used to create the World's Best Racehorse Rankings where pace, times and context are discarded and a horse's worth is decided by a black tie-wearing committee over a gala dinner. However, this may be imperfect... Winx has always faced the problem of being measured as nothing more than the sum of her rivals. Her rope-a-dope style leads to margins that regularly don't do her justice, her true worth hidden in the nuance typically glazed over by the A-beats-B-beats-C handicappers - presumably more concerned about the next round of canapes. 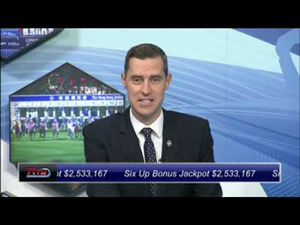 Saturday's runner-up Benbatl (who's talents and standing were largely overplayed by Winx's cheersquad and underplayed by her detractors) is a relevant data point for assessing Winx's performance on Saturday but he is just one very noisy data point. Benbatl is just one of 6235 horses to run over the 2040m course this century. That's a lot of data points, including plenty of the best performed horses in Australia in that time-span as well as Group 1 winners from all around the globe. High-class data points with names like So You Think, Grandera, Haradasun, Vadamos, Starcraft, Highland Reel and more. These points of reference, and thousands of others at racecourses both home and abroad, point to Winx's chief rivals over the years, Hartnell, Happy Clapper and Humidor (so confidently but carelessly dismissed as rubbish) fitting right in with these global Group 1 winners. It's very easy to simply say that those horses are not worthy of even competing with Europe's biggest stars (stars such as Cracksman, Roaring Lion and Subway Dancer...) but there is evidence to the contrary and evidence should trump (pun intended) opinion. At the top of this century's raw-times tree sits Winx. In fact, she fills the entire podium with the three fastest winning times over the Valley 2040m course, just in case anyone thought it was a fluke. One of those three fastest times came on Saturday but that doesn't allow for the fast conditions. With conditions considered and controlled for 2018 comes out as the slowest of her four Cox Plate-winning times. And her slowest is actually the fastest. A quick, and admittedly rudimentary, look at the last four Cox Plate times relative to the Vase run over the same course and distance on the same day does a good job describing this. The Vase is contested by horses of the same age and roughly the same talent and the pace of those races (finished fast in 2017) has been close enough to make the comparison relevant/interesting. All this and more boils down to Winx running to a rating of 129 on Saturday. Short of her 134 peak but not by so much that it doesn't remain a fair assessment of the now seven-year-old mare's talents. 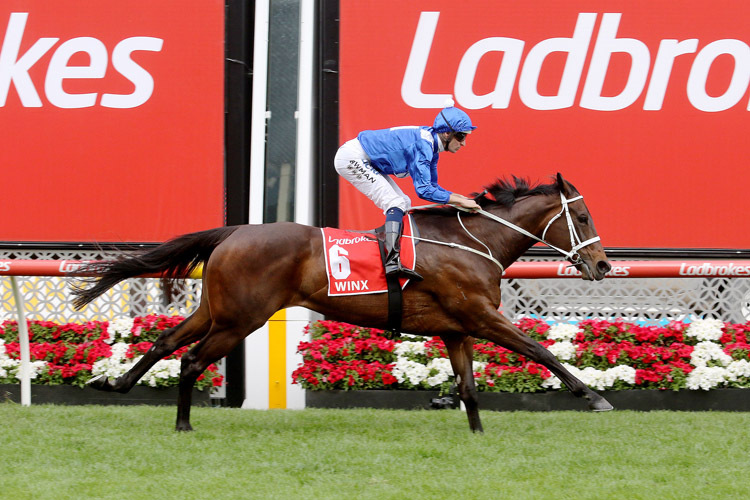 So Winx's fourth Cox Plate was more about historical achievement than being one of her greatest individual performances on the track and the quick conditions undoubtedly played a role in that. Winx's ratings profile on ground as firm as Saturday is a long way short of her profile on softer going. Her bare form in the firm and fast Sydney spring of 2017 is evidence of this as is her Cox Plate record. Conditions have been very similar over the past couple of years following on from soft ground in 2016. 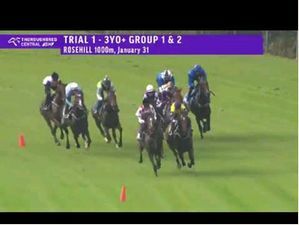 Our Vase comparison again does a reasonable job of illustrating Winx's preference for softer conditions. From the beaten brigade; Benbatl ran a cracker in second stretching his margin on Humidor from the Caulfield Stakes from 5lbs to 7lbs. Sectionals hinted at Humidor closing that margin slightly from Caulfield but he pulled up with an injury following the Cox Plate and a well-earned stint on the sidelines is on the cards. 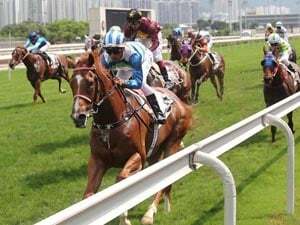 The relevant form for this spring comes from the fourth and fifth finishers, Avilius and Rostropovich - beaten eight and nine lengths respectively. Avilius is still considered a leading Melbourne Cup hopeful and he did enough to hold down fourth. He didn't do any more than enough, but enough, and we've seen enough from him in his wins leading up to Saturday to know that he is a very good horse in the making. Avilius finished second in the Prix Niel to Cracksman last season, beaten just 3.5 lengths, but we wouldn't be so daft as to take that margin literally on the other side of the world. The finishing speed that day was 108.6% and given that fact the margin certainly doesn't do Cracksman, or his performance that day, justice. There's certainly more to Cracksman than Avilius. And there's plenty more to Winx than Benbatl.